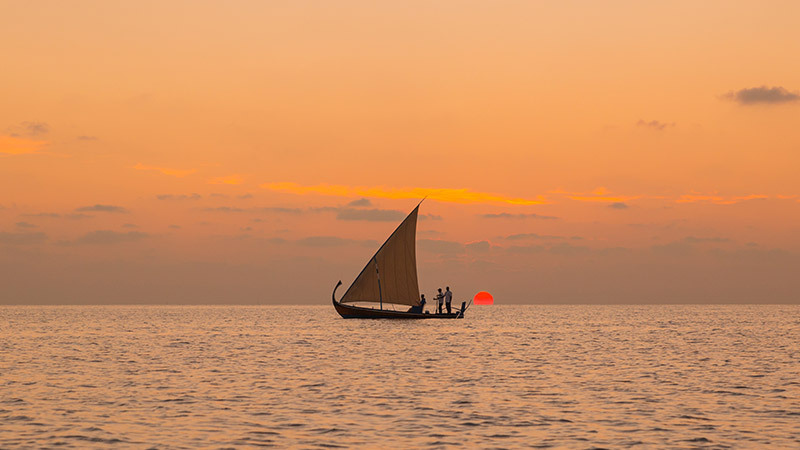 Enjoy the most romantic Maldives sailing experience imaginable as the sun sets. Picture you and your partner aboard your own private sailing Dhoni. Our experienced captain will sail you around Veligandu as you contemplate the beauty of the moment and reminisce about yesterday. The trip includes a glass of special punch or non-alcoholic bubbly and a personal photo in a frame. Kindly note that this trip is exclusively for couples.